Posted in: Art, Music, Photography. 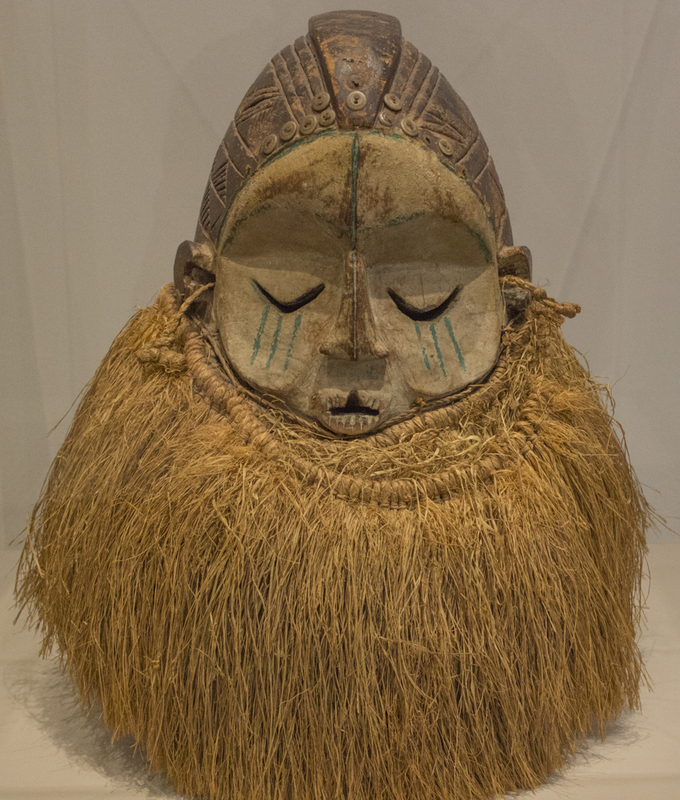 Tagged: 1900s, and raffia fiber, Democratic Republic of the Congo, Helmet Mask, initiation ceremonies, makunda, Nelson-Atkins Museum of Art, pigment, Si Si Congolese folk song, Suku culture, Wood. "A Suku artist created this hemba helmet mask to be used during the makunda, or initiation ceremonies for adolescent boys into adulthood. I find these masks striking because of the rendering of the facial features, with slit eyes and exaggerated cheeks and forehead. The somber expression, common among hemba masks, also reminds me that these objects are visual representations of elders who have passed away." -- Rachel Kabukula, Curatorial Assistant of African Art. Fascinating mask and such wonderful description of its origin. Stunning! Love masks of all sorts. I find them mysterious and wonder to myself the type of characters they are depicting. Thank you sharing. I love how peaceful and solemn it looks, but in a very cute way, somehow! Haha. It looks as if it’s exhaling – the cheeks and the mouth are unbelievably expressive. It is very striking. Any idea what the “collar” is made from? Raffia fiber which is made from palm leaves.